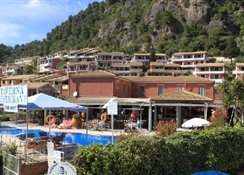 Gorgona apartments Glyfada is situated directly on the sandy beach. 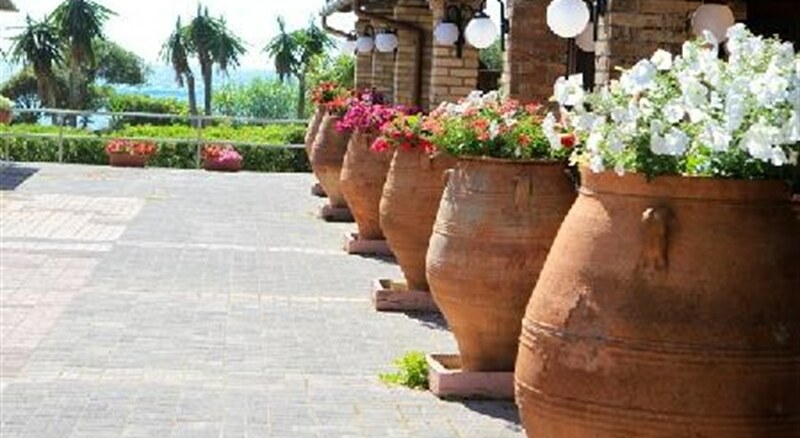 The closest city to the hotel is CORFU (16 km). To make your stay more comfortable a mini market and a reception are available. The staff in this 1 storey hotel speaks English. Sunshades and sunbeds are available for an additional fee at the beach. Distance from the hotel to: Airport (17 km), Achilleion (17 km), theatre (20 km), disco (20 km) and Archeological Museum (20 km). 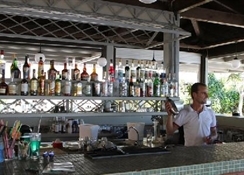 The hotel is within easy reach of bars and restaurants, bus stops and markets. Amenities: Internet access is provided at wifi-hotspots. This family friendly hotel offers a familyroom and a children's pool to ensure a comfortable stay for parents as well as young guests. Reception hours: 08:00 - 22:00. Meals: The breakfast type is buffet. Lunch and dinner can be enjoyed in the restaurant. Sport and Leisure: The nearest golf course is 5 km away. Additional Information: The following payments are accepted: Visa Card, Euro/Master Card and American Express.